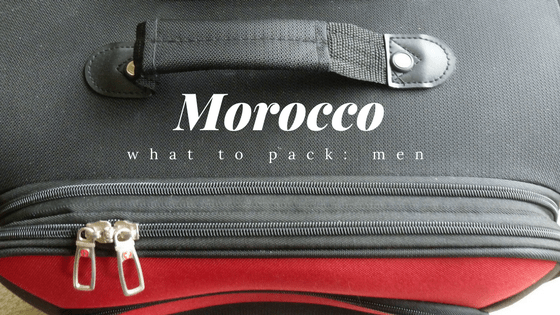 Sometime ago I wrote this post on what women should pack when visiting Morocco. It has been very popular and made me realize that there are others things that people who are visiting Morocco might be wondering too. What do you pack if your man? What about if you’re bringing kids? So I plan to do a few more posts on this subject. My first women’s clothing tips were a year round approach but I think it’s helpful to break this up into seasons. 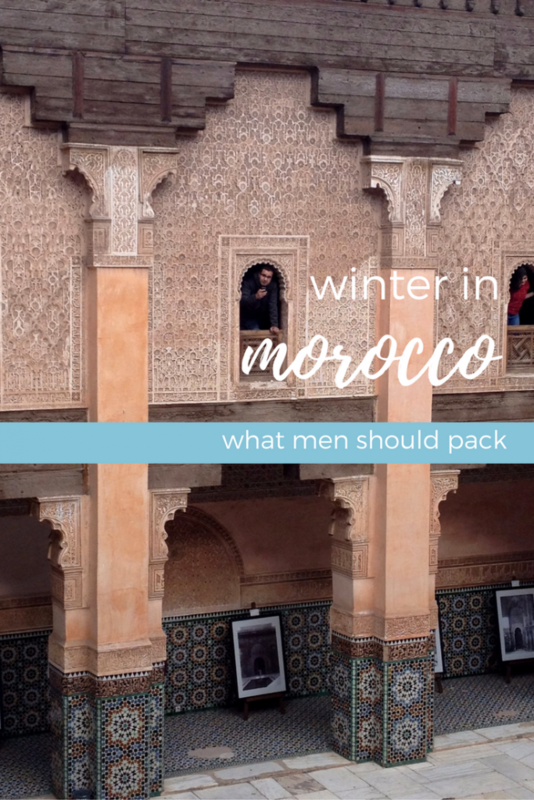 So today, with the help of MarocBaba I’m sharing what to pack for men who are visiting Morocco in winter. You’re probably thinking, but wait winter in Africa? Yes friends I assure you there is winter here. Normally the cooler season starts in mid-November and lasts through February. You aren’t likely to see snow if you’re not in the mountains but temperatures do get quite low, especially in evenings. I’m writing this in mid-December and nighttime lows are around 4-8C (40-45F). Daytime it can get into the 20C+ (70F+) range. That’s a big temperature difference – be prepared! Let me be clear about one style you should avoid at all costs. Don’t come to Morocco and dress like Aladdin because you think you’re in Morocco so why not. No one dresses this way, and frankly harem pants look like a big diaper. Just the other day I saw a man wearing orange harem pants, a tunic, and a turban. Rest assured you will never see a Moroccan dressing this way unless it’s part of some performance. It really looks silly! Several t-shirts, long sleeve shirts, and polo shirts – a combination of these shirts is perfect. Chino pants or other light weight fabric. Black, gray, and/or khaki are good, easy to wash, and can be dressed up or down. Jeans – a good pair of jeans are a must. Long sleeve, button up shirts. Pack one that is nicer to wear for a nice evening out. One or two others that can be worn alone or under a sweater, or jacket are good. A jacket. Yes, you really should bring a blazer and a light to medium weight jacket to wear out. 1 medium weight sweater and 1 heavier weight sweater. A hat and scarf. Nights and sometimes days are cold . Bring this! For shoes, a good pair of walking shoes is a must. Another pair of shoes to pack are functional boot shoes that can go from day to evening. They also should be comfortable to walk in. Warm socks are a must. personal care products such as razors, cologne, and shave gel. a good bag or backpack to carry. In my post for women I included items you should reconsider packing but I don’t think this is as much an issue for men. Just don’t bring harem pants and leave your short shorts at home. You weren’t going to bring them anyway right? 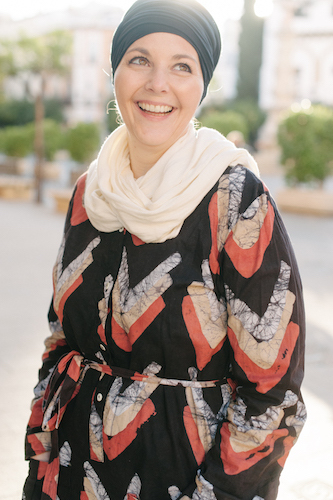 Hi, my partner and I are planning to go to Morocco very soon. My partner however has very long hair and has been told that this would look very odd in Morocco as it’s very unusual! (He gets strange looks here in the UK too!). Would there be an acceptable way of dealing with this, eg. hat or a scarf or something else? We’re planning on visiting Fes. Thank you! I wouldn’t worry too much. Yes it’s not as common but it’s not so strange that you should have any issues! Was the guy in the orange diaper a tourist? Hysterical! I kick myself almost daily for not snapping a picture of him!